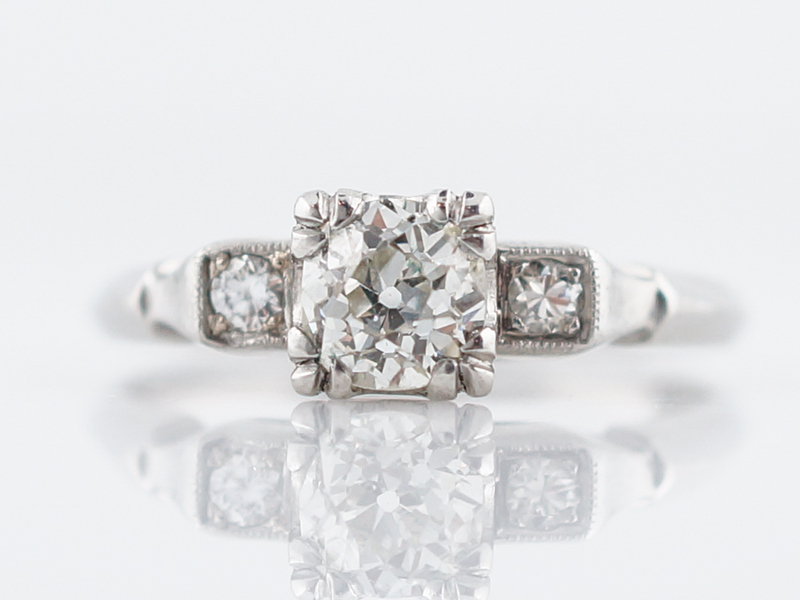 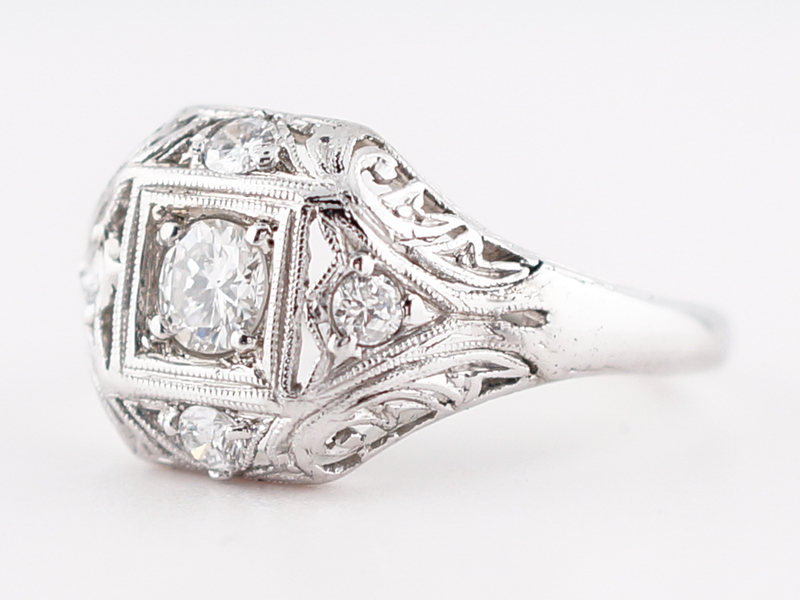 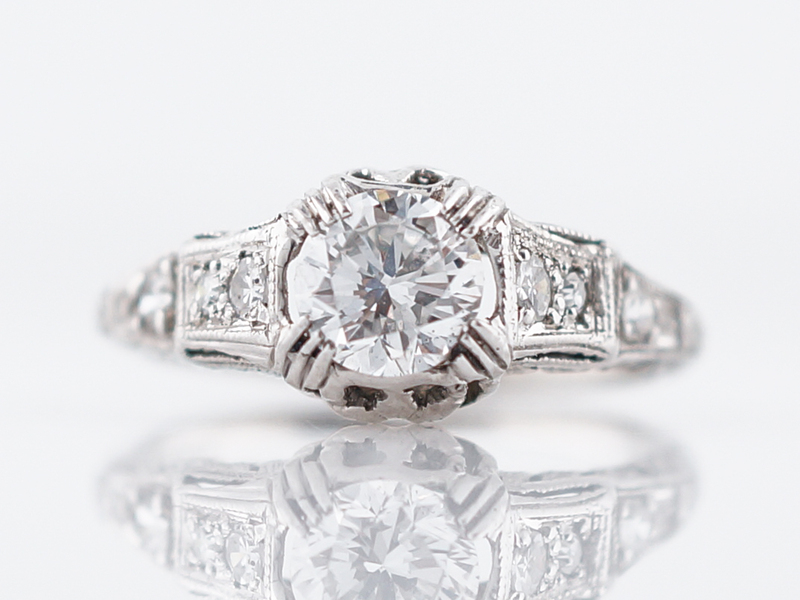 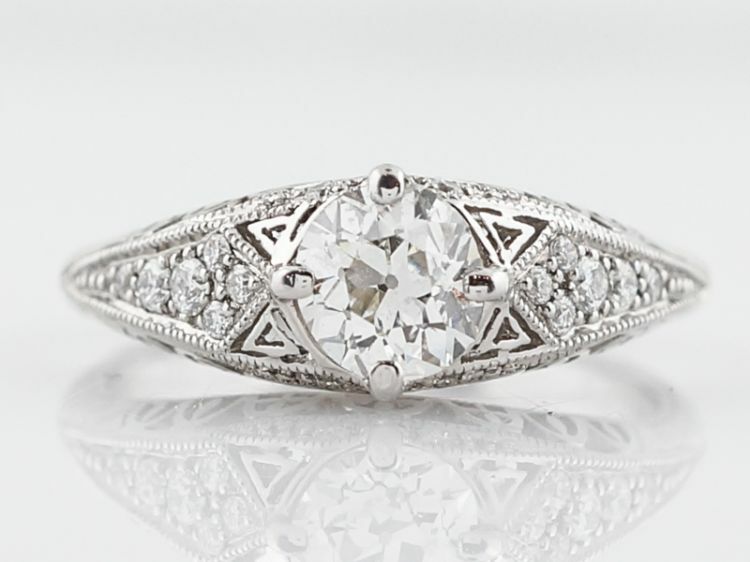 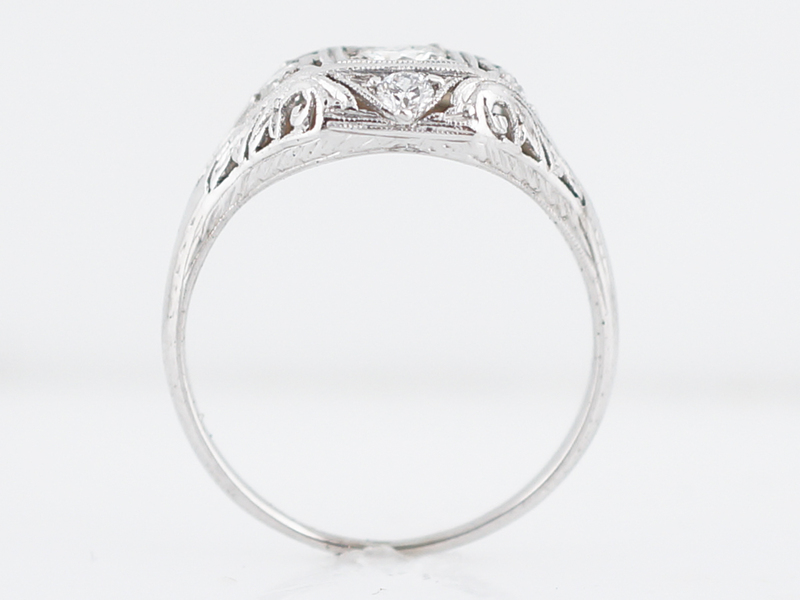 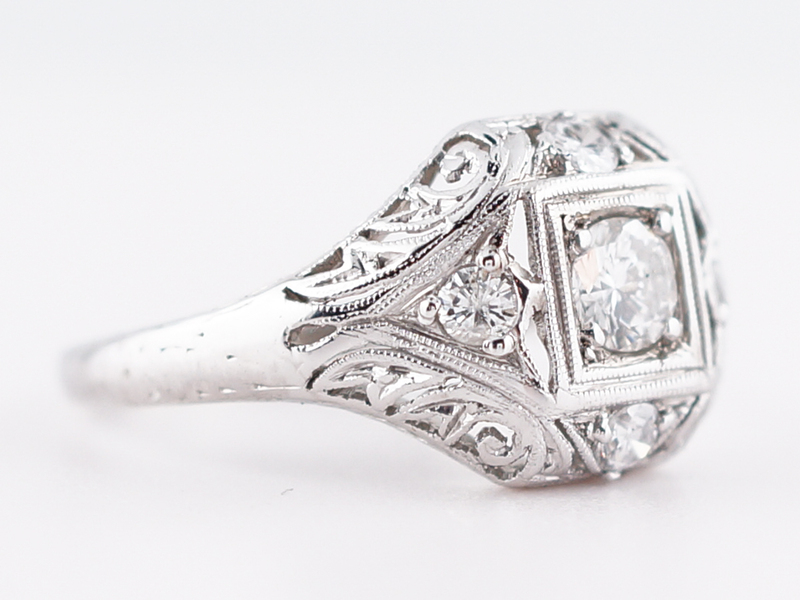 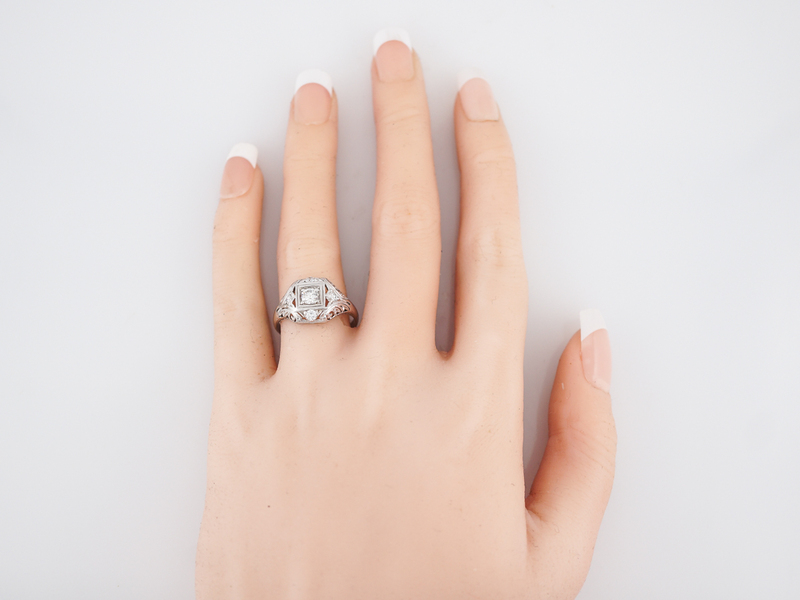 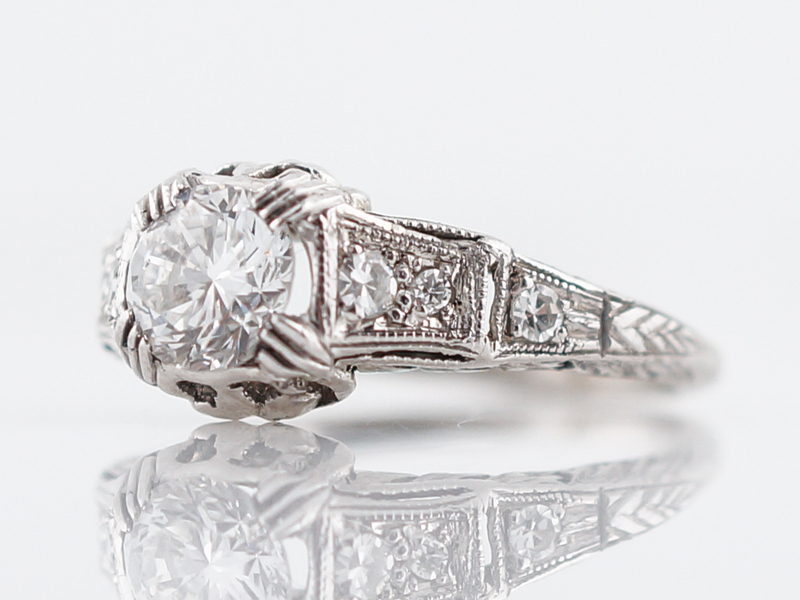 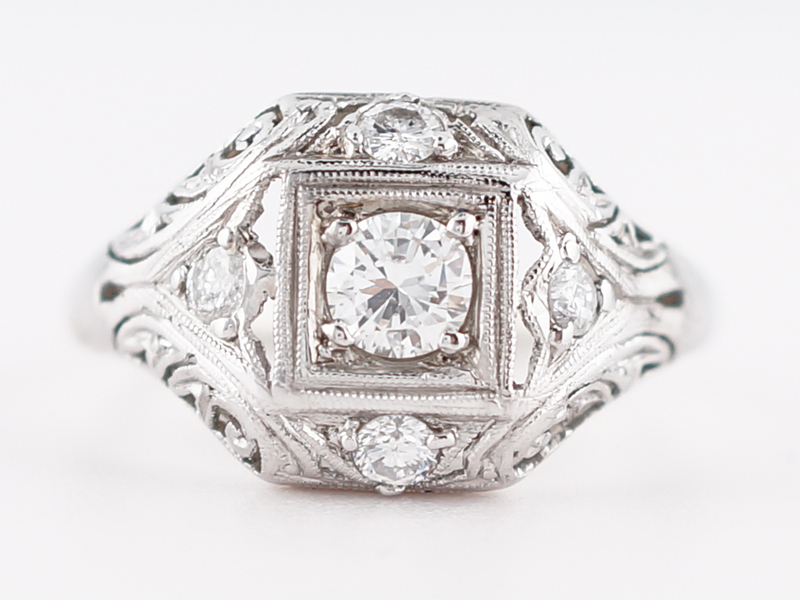 This striking Art Deco engagement ring shows a .30 carat Round Brilliant cut diamond as it’s primary stone. 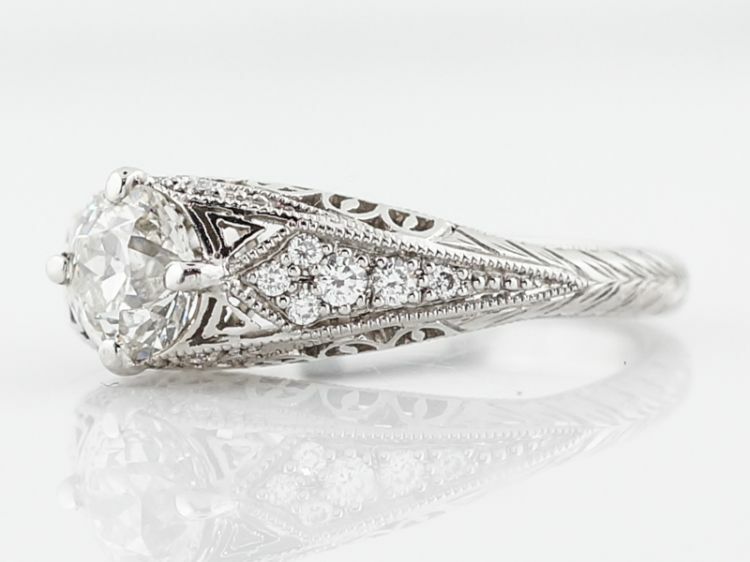 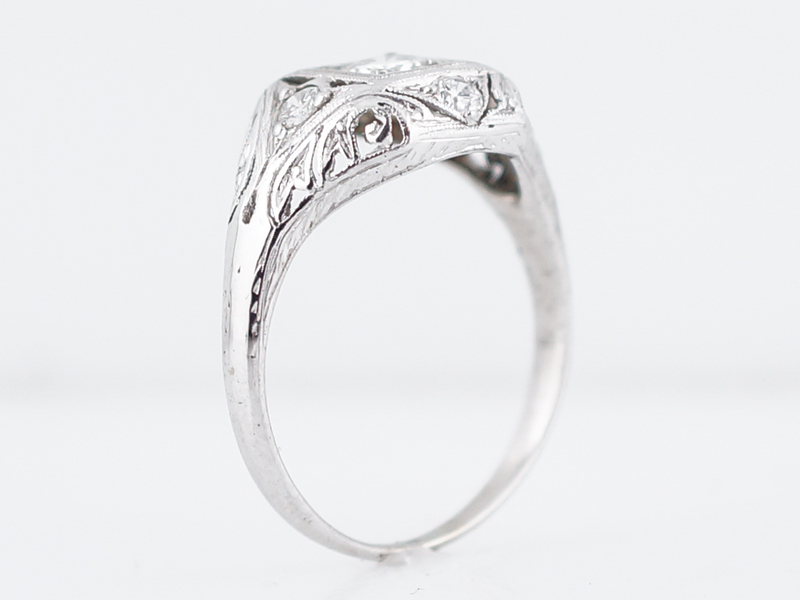 Finished in both 18k white gold and platinum, the basket setting incorporates beautiful metalwork techniques, including gorgeous filigree and delicate milgrain. 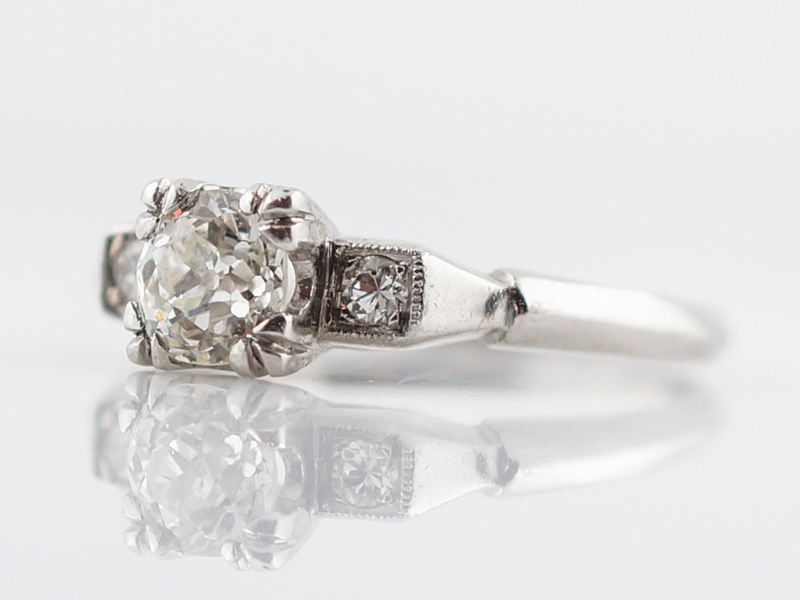 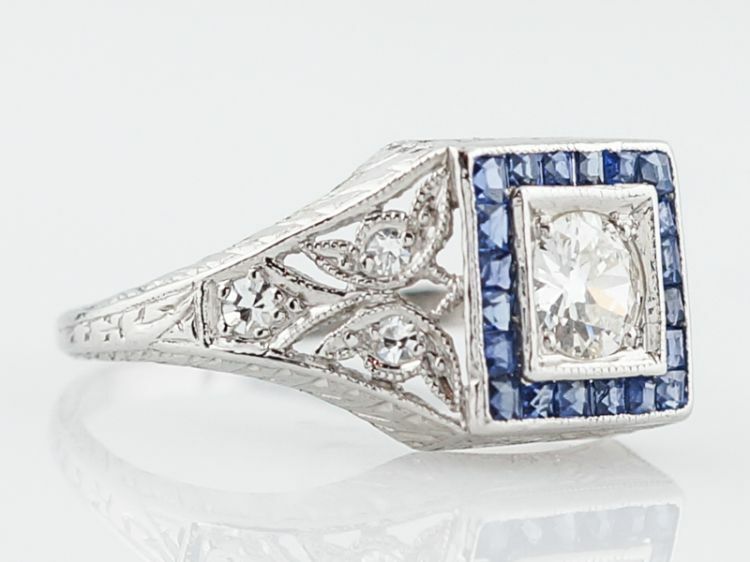 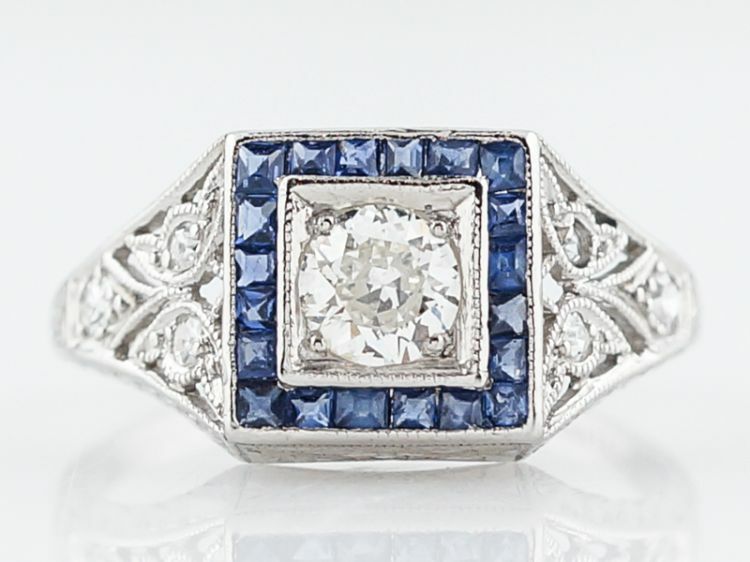 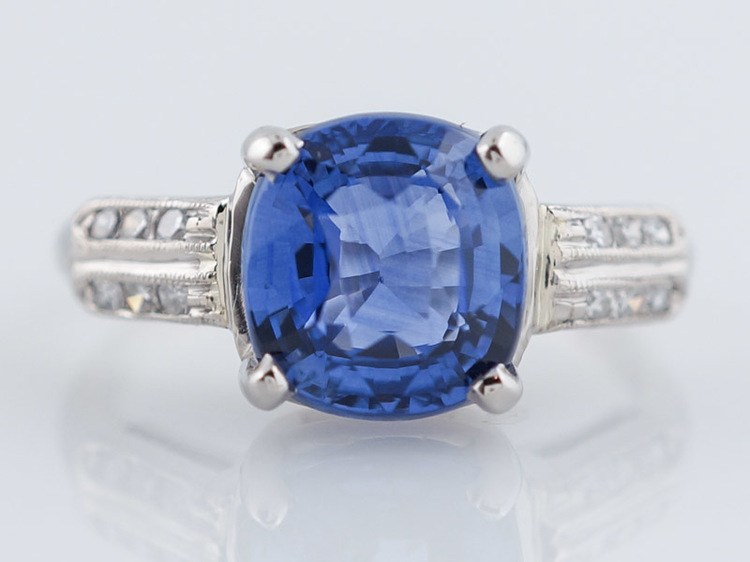 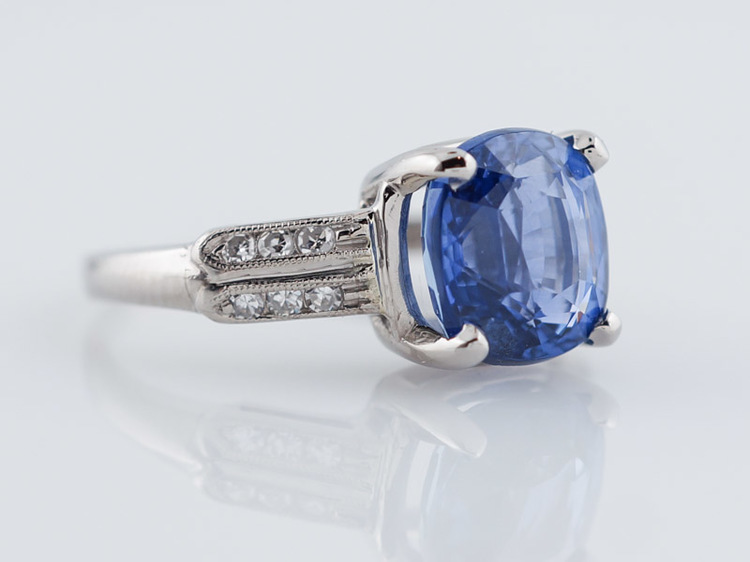 This antique engagement ring takes on such a different appearance depending on how you look at it and is captivating from every angle.